Lucas Equine Equipment (LEE) design engineers will help you balance style, equine safety and pricing without sacrificing the quality of your barn. Lucas Equine Equipment horse stall components are always custom designed and built for you using the highest quality standards. Traditional European styling can give your barn the regal look you desire. Lucas Equine Equipment designs Euro-style stalls for ultimate style and strength. Our expert design engineers can help you balance Old World styling without sacrificing quality or safety. 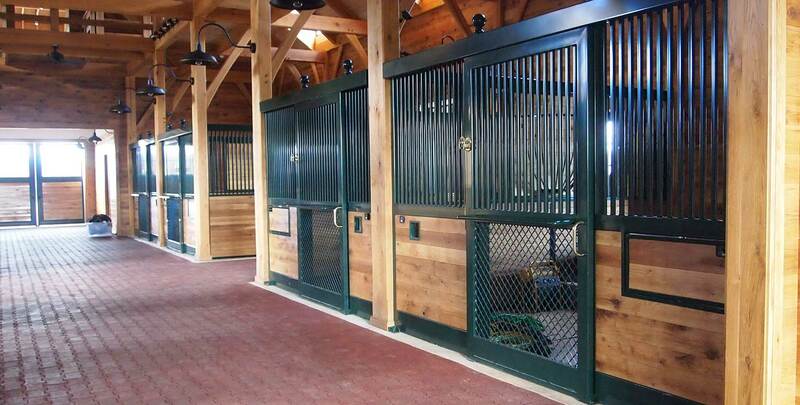 You can mix and match the options you like from our available options to create your ideal custom horse stall. These stalls can be designed in both clear span barns and traditional post and beam barns. Lucas Equine Equipment seamless stall front panel systems are crafted with three very important points in mind. One is the creation of long-lasting, easy-glide track systems. 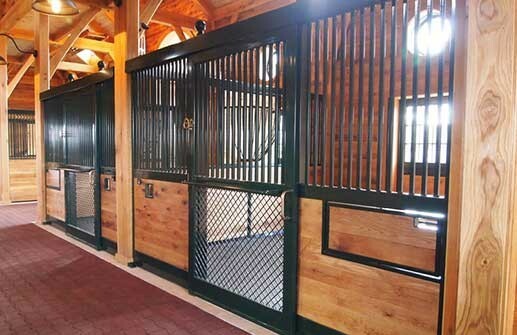 The second is making sure there is a unified look and style for beautiful integration into your barn. Lastly we believe in having high-quality construction and finish that never compromises. 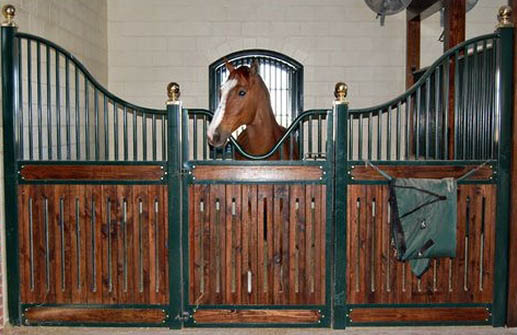 Lucas Equine high front stall systems are built to order. That means the size of the steel framing, the overall shape of the stall, and the way they fit in your barn will be exactly what you want and need. Stall Doors – Designed and crafted by LEE, these can feature a functional all-steel exterior or incorporate beautiful wood elements to match the style of your barn. End Doors – If you want to make a statement we recommend our LEE exterior doors and end doors. 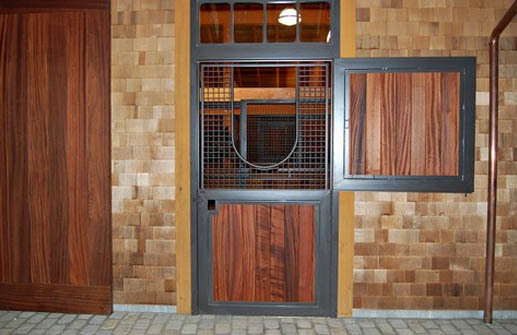 These doors are beautiful and also durable when exposed to weather and daily wear. Exterior Doors – While the design of every exterior or end door by LEE varies, each one is guaranteed to be top of the line. Lucas Equine Equipment pre-hung exterior window units are created with your custom measurements and specifications. 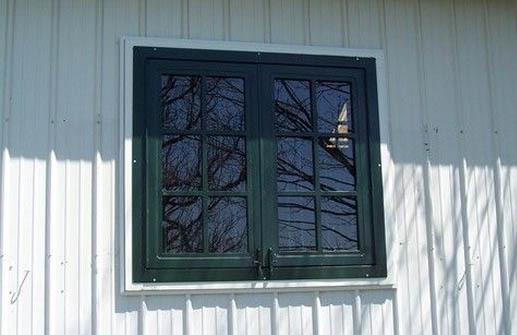 Paired with a yoke grill, Lucas Equine barn windows can give your horse the opportunity to stick his head outside when they please to enjoy the environment. Barn windows from LEE are made to fit the existing openings in your barn and are surrounded by a seamless steel frame and open 180-degrees to give your horses maximum air flow. 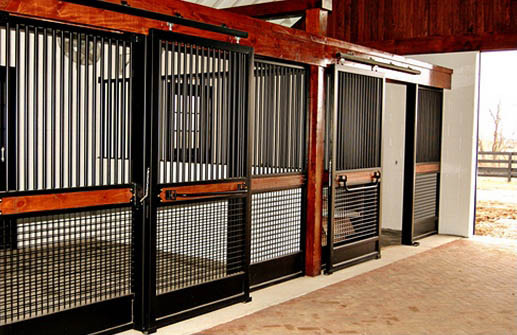 Entrance Gates – Lucas Equine Equipment entrance gates are crafted with the same attention to detail and style as our horse stalls and doors. When designing and selecting entrance gates, we keep in mind that they often make the first impression of your property to your visitors. 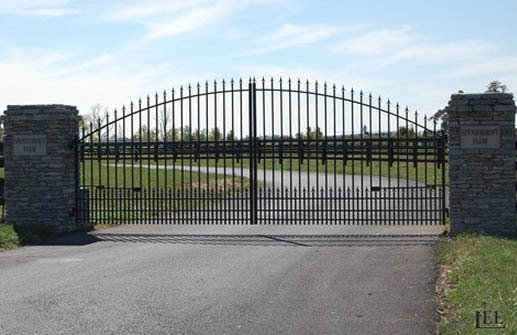 Our designers will make sure that your entrance gate with properly display how you want people to see your barn. Paddock Gates – Paddock gates are one of the most functional components of any farm. These are made to withstand weather and daily wear and tear in your barn. The most choices on the market. Floor-mount or wall-mount door stops and guides. Key Features Why Choose Lucas Equine Equipment? Copyright © 2019 Amberway Equine. All rights reserved.